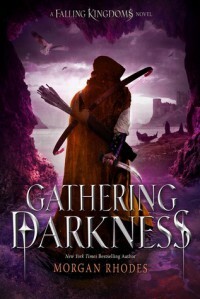 I was so excited to start reading Gathering Darkness by Morgan Rhodes, the third book in the Falling Kingdoms series. For me, when it comes to books in a series that I don’t read back to back, I tend to forget characters, plots, and what the cliffhanger at the end of the previous book. (Please tell me I’m not the only one!) But it literally only took me a couple of chapters in to remember where I left off last time, and to fall in love with the characters! Even if some the main characters are not mentioned in the first couple of chapters, events and memories of characters from before came flooding into my head. And THAT made me even more ecstatic to continue reading! Gathering Darkness by Morgan Rhodes continues on from where book 2 left off. Magnus is still a jackass (though I adored him soooo much in this book), Lucia is really coming into her magic and is a force to be reckoned with, Princess Cleo is still that beacon of hope with a side dish of vengeance, and Jonas is still adorable! We see how some of the captured rebels are faring in the King of Blood’s dungeon, and we are introduced to some new characters who you will love and hate at the same time. Cleo is still on her mission of seeking out revenge against the King Gaius for the death of her family. And who better to align herself with than that rebel we can’t help but love, Jonas. But with Prince Magnus so very suspicious with Cleo’s intentions with his adoptive sister, Lucia, keeping anything secret is not so easy for Cleo. But she’ll soon find that those that she thought she felt she could trust may not be as trustworthy as she thought. And the ones that she thought would deceive her may just end up surprising her. Prince Magnus is not in the clear himself. With a plan of his own to find the Kindred and keep them for his own rather than give the power to his father, King Gaius, Prince Magnus has a lot on his plate. Especially when it comes to his “wife”, Cleo, who just can’t stay out of trouble. And for some reason, Magnus finds himself defending her time and time again! What is it about this girl that has Prince Magnus acting so not like himself? Princess Lucia’s powers are growing stronger as the days go by. Without a proper tutor, she fears that the magic she holds inside will take her over. For some reason, she finds the peace and clarity when she’s around Princess Cleo. But can she trust this princess? Especially when it was she who caused the downfall of her families reign? Jonas somehow finds himself in the company of Felix, a stranger who happened upon Jonas at just the right moment. And because of this, the two of them venture off together to save Jonas’ people, and to help a Princess who is trying to reclaim her home and her destiny. But Felix is one secretive bugger, and the secrets he holds may change everything for Jonas…and not necessarily for the good. Alliances are tested, trust is something these cast of characters are leery of giving and accepting. Deception, secrets, death, revenge…love. So many different things are happening in this book that it literally was a nonstop page turner. With each chapter being told in different view points of the main characters found in these books, there really isn’t a dull moment. The reader is quite literally carried away in this world and story created by Morgan Rhodes. A world that is riddled with magic. Not only is there a lot of action in this installment, there is also a lot of heartache and loss. Quite literally, this was an emotional rollercoaster ride of a read. There are so many twists and turns in Gathering Darkness. It made it such an unforgettable read for me, that I can’t even begin to imagine what else author Morgan Rhodes could possible do in the upcoming books! I mean, yes, I have my theories (of which I can’t share with you because, yes, I will totally spoil it for you), but I had my theories about this one too! And they were shattered. YES SHATTERED! Morgan Rhodes veered off the path I had created, and immersed me into something entirely different, unexpected, and thoroughly enjoyable. Fans of fantasy reads, magic, vengeance, and revenge will lose themselves in The Falling Kingdoms series. 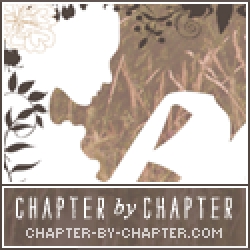 If you’re looking for totally crush worthy characters, a storyline that will steal your breath away, and a read that will keep you up until the very end, don’t hesitate in checking out this series.